A full face mask doesn't have to block your view. 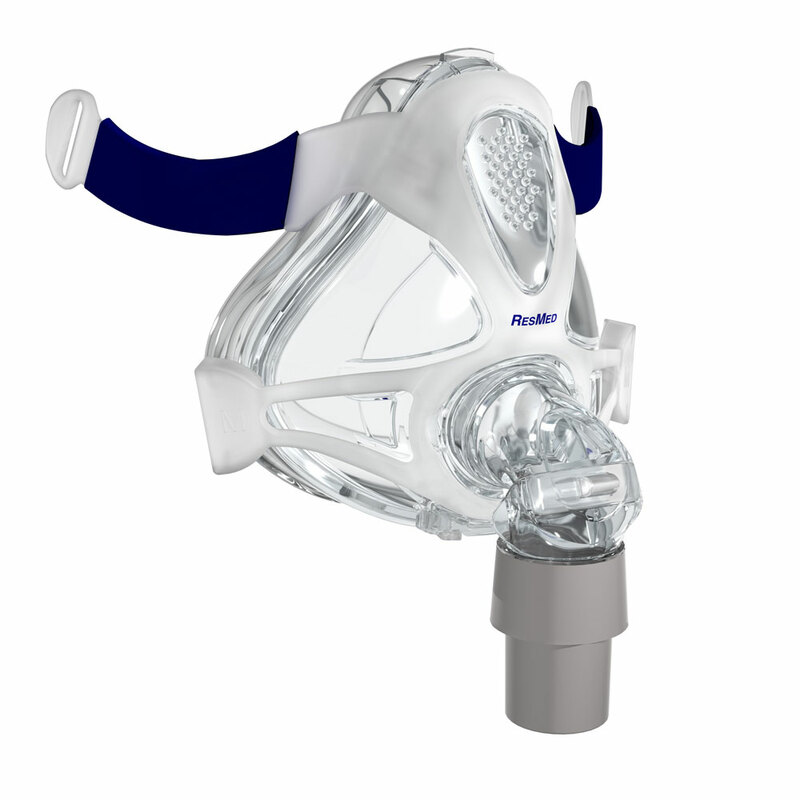 The Quattro FX provides the coverage and stability of a traditional full face mask with a clear field of vision so you can focus on better things - like sleeping comfortably through the night. Unobstructed view, compact, lightweight and quiet. ResMed quality you can trust. Quattro FX replacement headgear is not included. It is recommended to wash the mask daily with warm water and mild detergent. Be sure to rinse the mask thoroughly and allow it to air dry completely before use. Avoid direct sunlight. I really like this mask, and agree that it is very comfortable. The seal that touches your face is very soft. I had no sore spots from it that I needed to develop into calluses. It is very light. Helped by JDeiley's comment above, I purchased the mask and headgear separately, because the headgear is available in a large size that way. I needed it, and haven't had his problem. As a side sleeper, I have some leakage when I turn over, but it doesn't last long, and can usually be adjusted out. I overtightened the headgear for a while, but that's not a good idea. The mask does blow air straight out the front, and it will be felt by a spouse nearby. A pillow in between is required. Great mask and very comfortable. 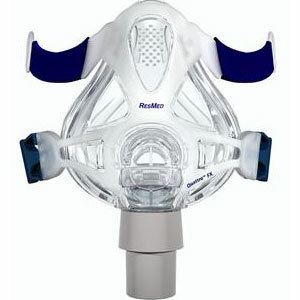 This is the only mask I use now and I have been on cpap for 7 years. I give the mask 5 starts. However, the headgear for this mask gets 1 star. Hear are the problems you'll have with this mask and they are all headgear related. 1. The headgear comes in two sizes: small and medium. If you have a big head (like me) then you will not be able to get the side straps anywhere near your ears. 2. Because of the improper fit of the headgear, it tends to pull the mask up during the night until it lodges on your nose bridge just below the brow. This causes the lower edge of the mask to either rest on your lower lip and put pressure on your teeth or the lower edge of the mask will fall in you mouth if you tend to be a mouth breather. 3. The headgear, because of the improper fit, is a pain in the rear to adjust to prevent mask flutter. When I first put it on all is well. However, as I stated above, the headgear pulls the mask up your face during the night which changes the adjustment. The mask begins to vibrate and flutter on your face while making farting sounds which wake you up. You will find yourself adjusting this mask at odd hours.